Wow, it’s been quite a while since the last posting. 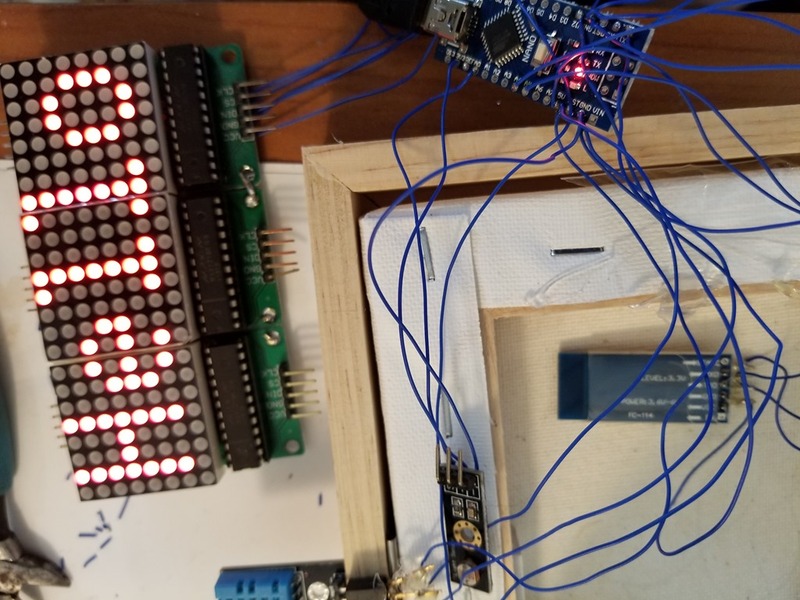 I thought we would start the year off with a cool project, a reboot of my Half-Byte Clock, featuring Embedded Tiny Basic. 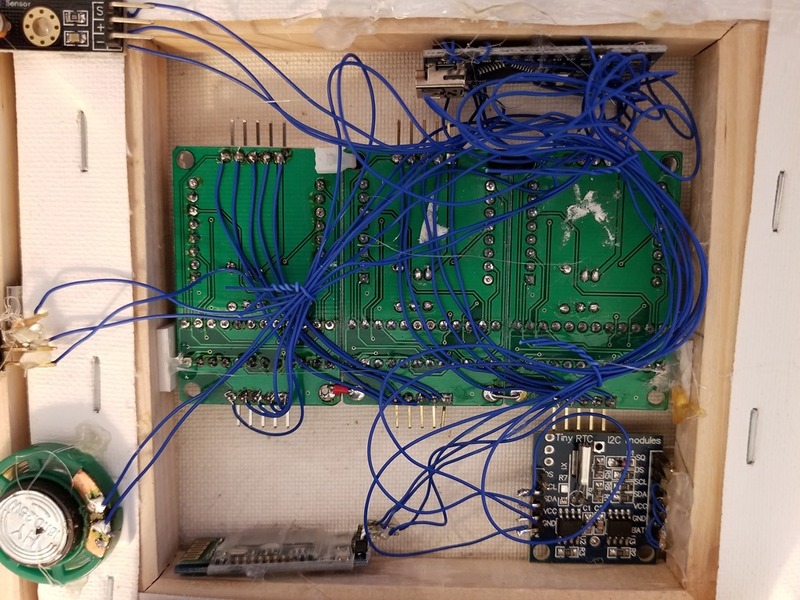 This time, I use an Arduino Nano and a nice canvas/wooden ‘case’ to house it all. Instead of using the somewhat large Half-Byte Console board, I use the Nano so it fit inside the wooden frame. The frame is roughly one inch thick, just big enough for the Nano and all of the components to fit. 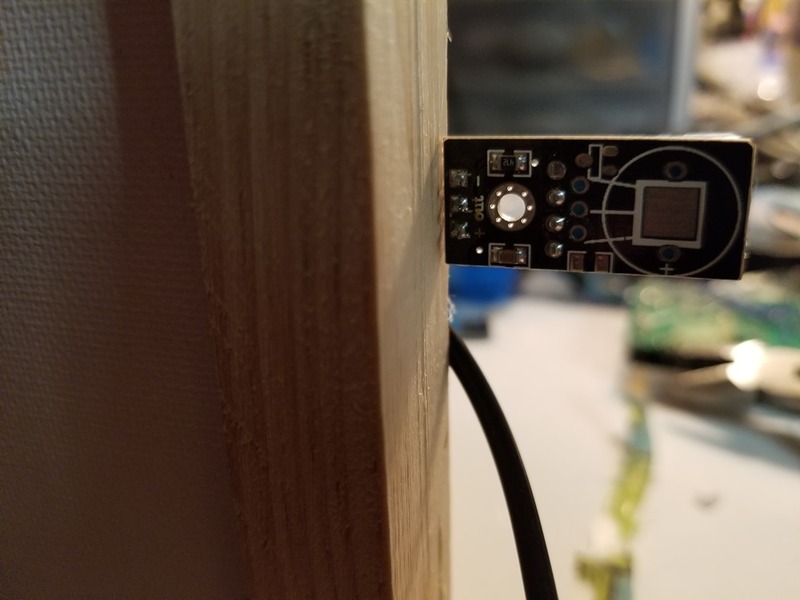 On this particular iteration, the light sensor and speaker are on the back of the frame and, because of poor planning, the temperature sensor sticks out of the side. I intend to remedy that, but that will be later. I am too busy to worry about that right now. My total cost is about twenty five dollars. The most costly part was the canvas frame-$8.95 at Target. All other parts were sourced from Hobby Town or Amazon. 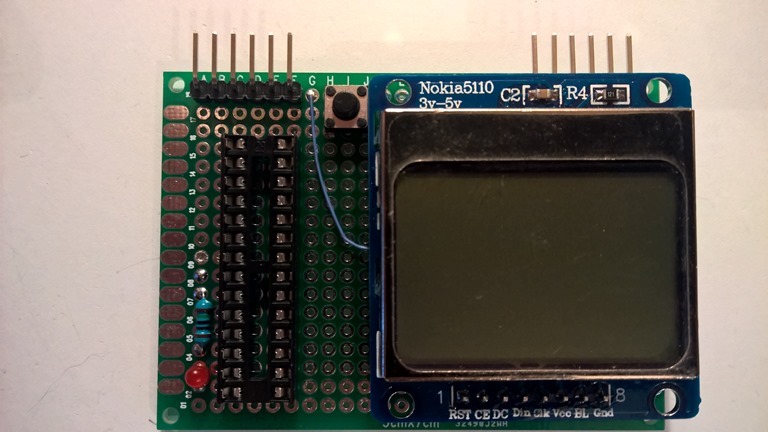 The clock features programmability via Half-Byte Embedded Basi c, though you can use whatever code you like. 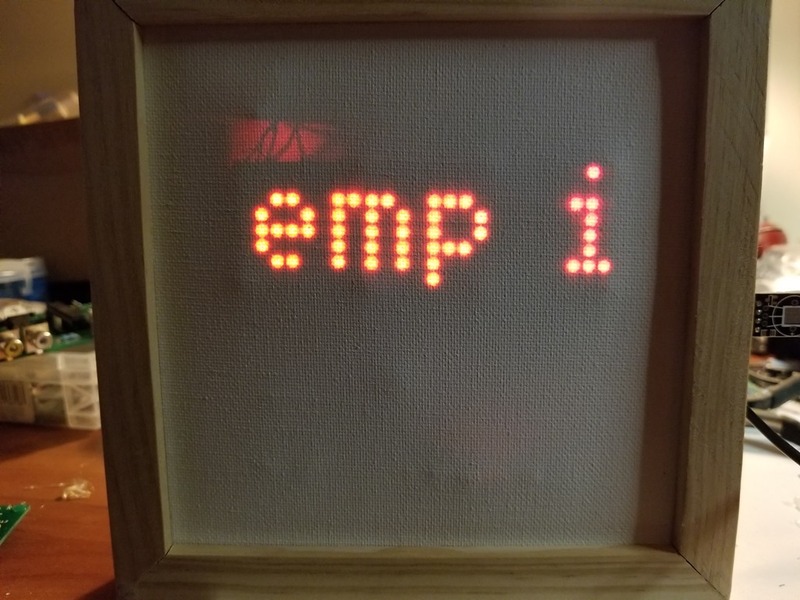 This project, though, is aimed at a reprogrammable device that can display the time/date, temperature/humidity, output sound, use the ambient light to brighten or darken the display and be programmable over Bluetooth. You have about 1k of RAM to store your Basic code and, once saved, will remain in memory, even if you unplug it. Upon power up, if there is something in memory, it will auto start after five seconds. 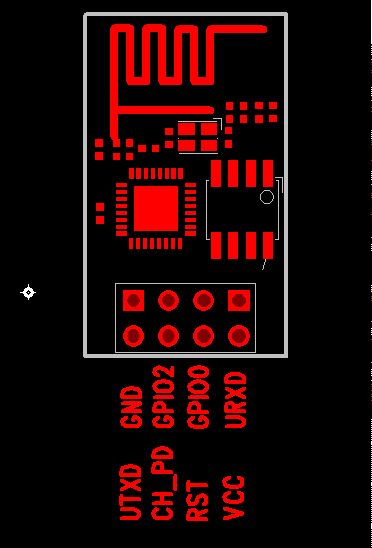 I was going to get all fancy and draw a diagram, but I think the pin connections will make more sense to more people, so that’s what I am going to do. There are also photos you can look at. As my hands aren’t as steady as they once were, my soldering leaves a lot to be desired. 100 PRINT "Welcome to Half-Byte LED Programmable Clock"
110 SCROLL " HALF-BYTE  "
112 IF HOUR(0)<12 SCROLL " Good Morning! " 114 IF HOUR(0)>11 IF HOUR(0)<18 SCROLL " Good Afternoon! " 116 IF HOUR(0)>17 IF HOUR(0)<=23 SCROLL "  Good Evening!  " 130 SCROLL ". Temp is "
150 SCROLL "Humidity is "
170 SCROLL "  Hello!  " Example 1 will randomly display random dot pattern for about a minute. It also analyses the time and inserts ‘Morning’, ‘afternoon’ or ‘evening’ in the greeting. If you are connected via USB or Bluetooth, you can interrupt the app by sending a character followed by the ENTER key. 100 SCROLL " Half-Byte Clock "
120 IF H<12 SCROLL " Good Morning! " 130 IF H>11 IF H<18 SCROLL " Good Afternoon! " 140 IF H>17 IF H<=23 SCROLL "  Good Evening!  " 170 SCROLL " Temp is "
200 SCROLL "Humidity is "
Example 3 displays the date and time as well as the humidity and temp. It also shows an animated smiley face. Example 4 is an example of an ‘alarm’. It evaluates the hour and minute and displays a custom message and then generates a tone. It also features the animated smiley. 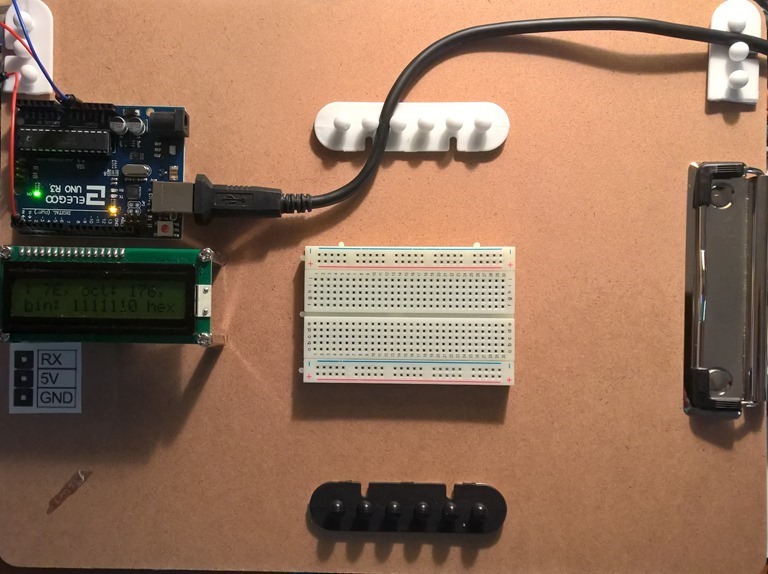 With some clever coding, you could write a game, create an interesting art display, message board and more. 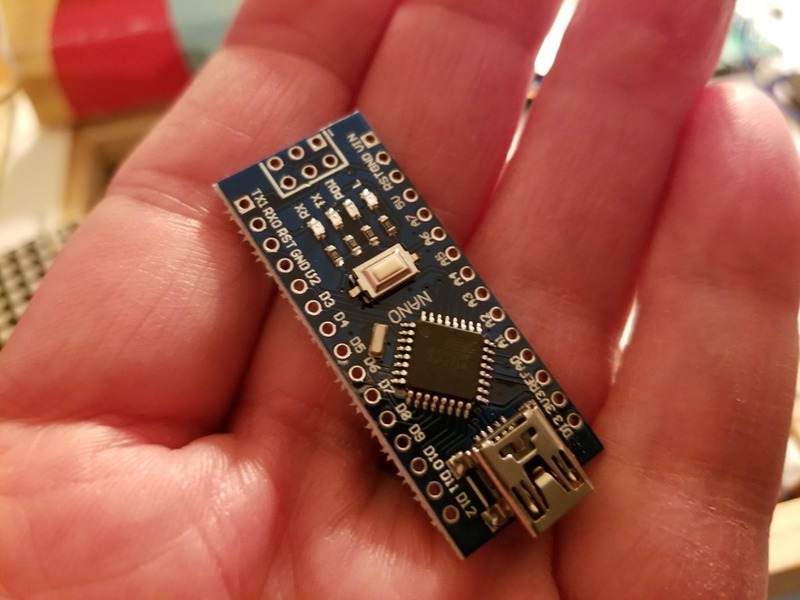 There are unused pins on the Nano that you can also use to wire up something to control (like a pet watering device, lights, etc.) All of the sensors are available in Basic or, if you choose to write your own custom code, use the pin outs above to read or write to them. You are only limited by your imagination. And, well, that tiny bit of RAM that these things have. C’mon, we went to moon on less. It is 2017 and we have a slew of low cost or free tools available that teach anyone how to program a computer. Just for Windows, we have something called Small Basic, from Microsoft. It is free and has a bunch of material you can use to teach anyone, especially children, how to code. There is also Python, Minecraft and a host of other, modern tools. So, why use something as crude as Tiny Basic? 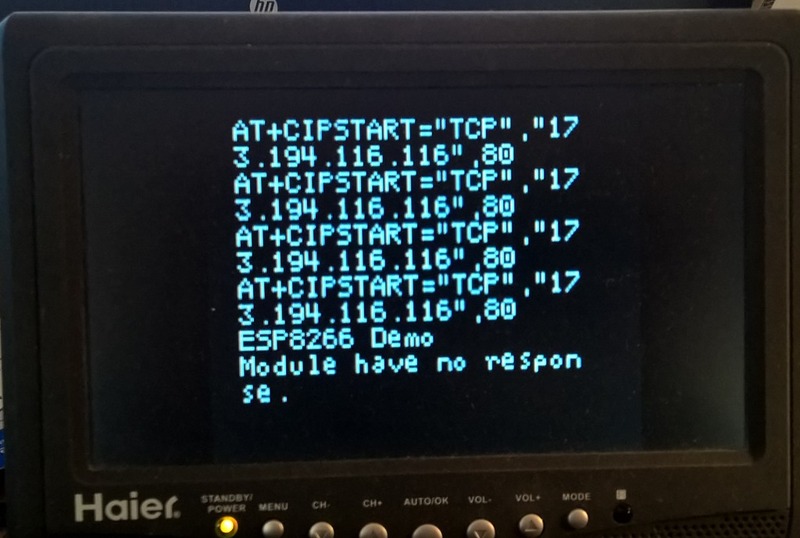 One that requires a terminal? Well, there are a few reasons you may want to do this. It is free. It runs on Arduino and Arduino clones. 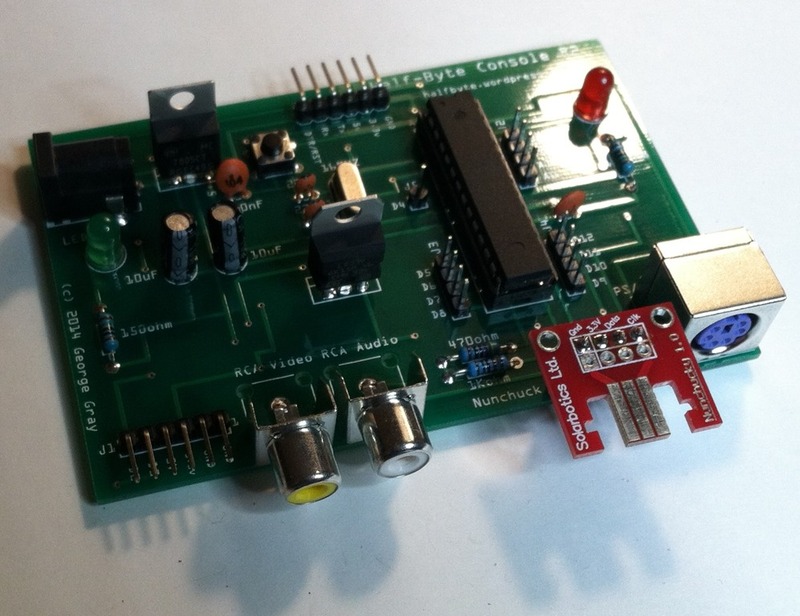 You can use it to also teach basic electronics. And, that is what I am doing…using it to teach not only programming, but also how computers work. It is really more for the latter as Small Basic cannot manipulate sensors and other hardware like Tiny Basic can. 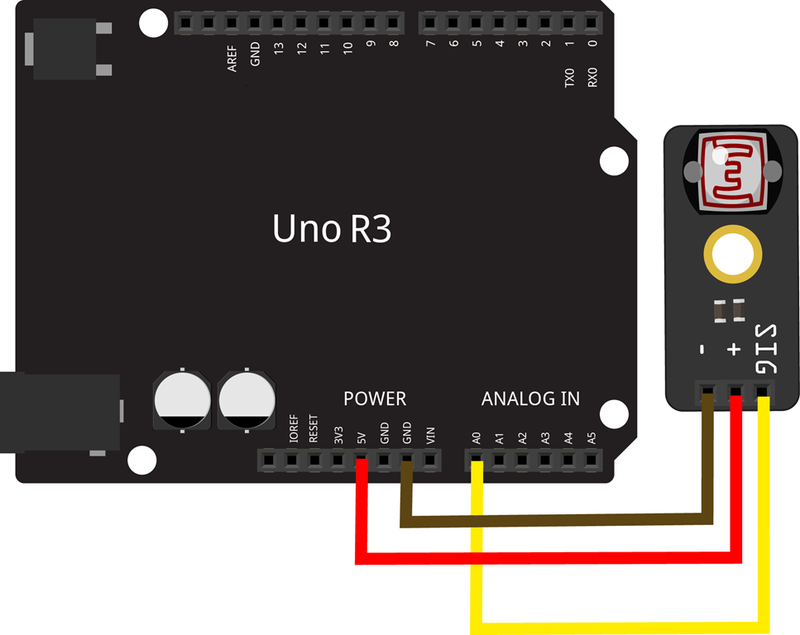 Since Tiny Basic includes instructions for reading temperature sensors and a real time clock, it is perfect for teaching things like turning on something on if the temperature gets above a given number or it if is 5 o’clock, turn off something. I recently started doing this with my step son. 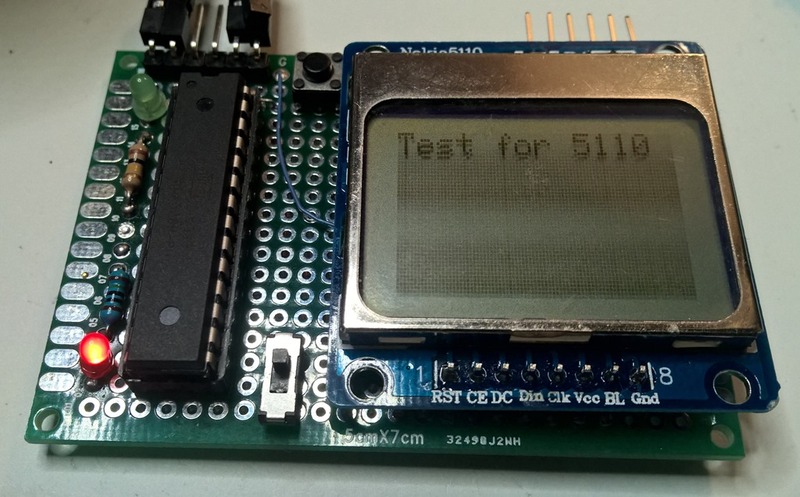 We used Embedded Tiny Basic on my ‘portable’ lab, which contains an Arduino UNO clone, a 2 x 16 LCD, breadboard and voltmeter. We first made one green LED blink, then added a second, red LED blink. 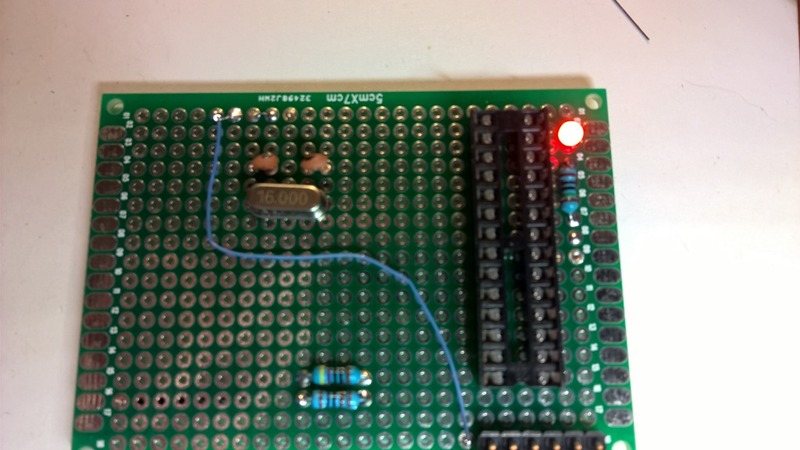 I used Tiny Basic to explain how to talk to the LED’s and used the DELAY instruction to make the LED’s blink at a constant interval. I also took the opportunity to teach him binary. We had discussed it previously, but I don’t think he really got it. Until now. Using the DWRITE statement, which takes two parameters…pin number and a zero for off or 1 for on. Having him use that code got him to understand the concept. Small steps. His mind is wandering now…’I can build a robot…a game…something to tell me when Xander is coming down the hall…’ Xander is his four year old brother. There are those of you out there who are thinking that this is a terrible idea, using Tiny Basic, that is. Well, no, not really. He is getting real instruction with a more object oriented and modern language while using Tiny Basic to learn the nitty gritty of the hardware. You do not need a modern, object oriented language to blink an LED. I will post future updates on our progress as well as sample code. Below is the code we used to blink the LED’s. OK, so I am taking some liberty here with the terms sight and touch, but it got your attention, yes? 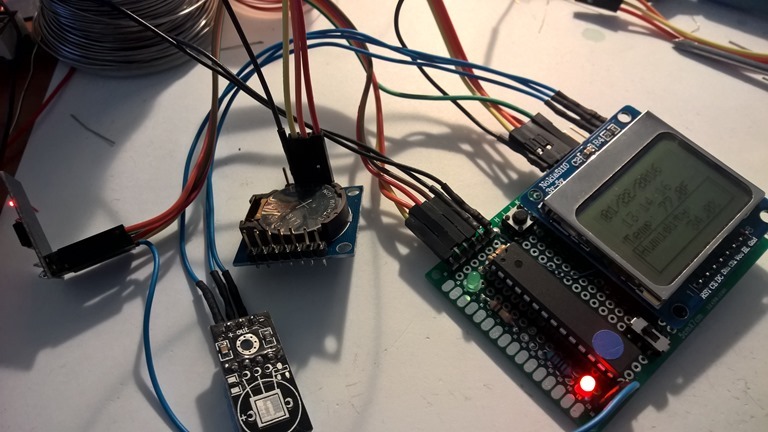 In this post, I am going to briefly share how to use three sensors: a ‘light detector’ or photocell, a touch sensitive ‘button’ and an IR receiver. These three sensors all came from a company called ‘OSEPP’, but similar sensors can be had from other vendors as well. I am going to write about these three specific sensors, but you should be able to adapt the information to what ever you have. I will present code in both Tiny Basic and Arduino. The light sensor is a cool photocell that is mounted on little breakout board, making it easier to use in a project. There are three pins: VCC, GND and Signal. Signal would connect to any of the Analog pins. When in use, it not only will let you know if it detects light, but also returns the intensity. The higher the value, the more light it detects. Reading it easy and you do not need any libraries. See the HalfByte Tiny Basic example below. What this little piece of code will do is turn on the LED if the light level drops below 300 and turns it off if it goes above 299. 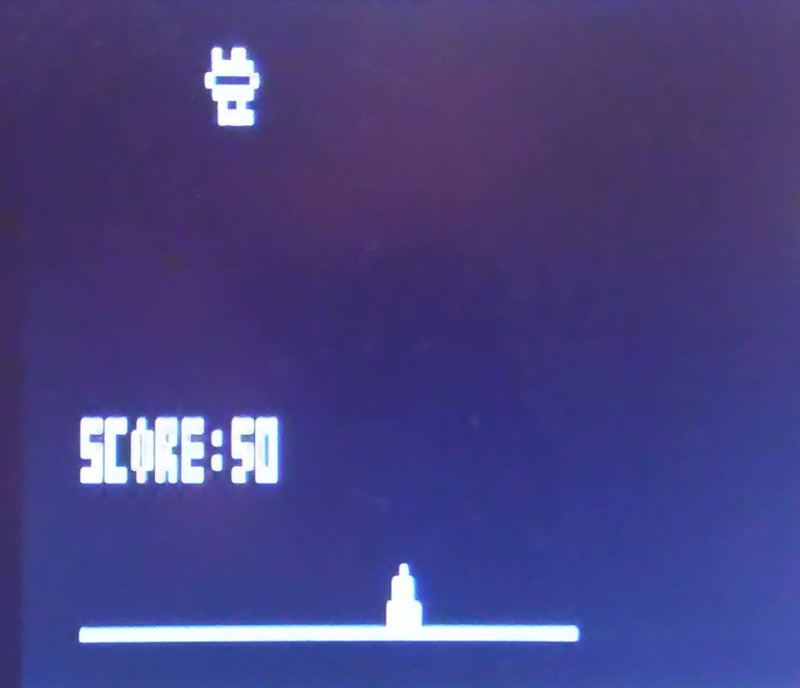 It also writes the level to the screen. 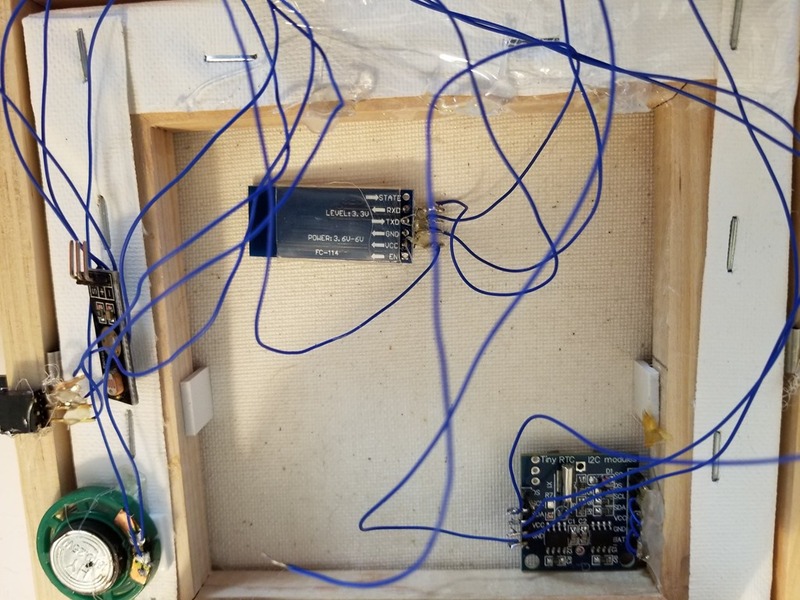 There are many things you can do, for example, control a servo that turns an armature to open a food door to distribute dog food to a dish when the sun comes up. You can use it to log when the sun comes, goes down. Use it control lighting, etc. /* OSEPP example of measured ambient light intensity from photocell . depending on brightness, an LED brightness is changed. photocellValue = constrain(photocellValue, 200, 800); //adjust depending on environment. • 5 mA minimum current requirement. 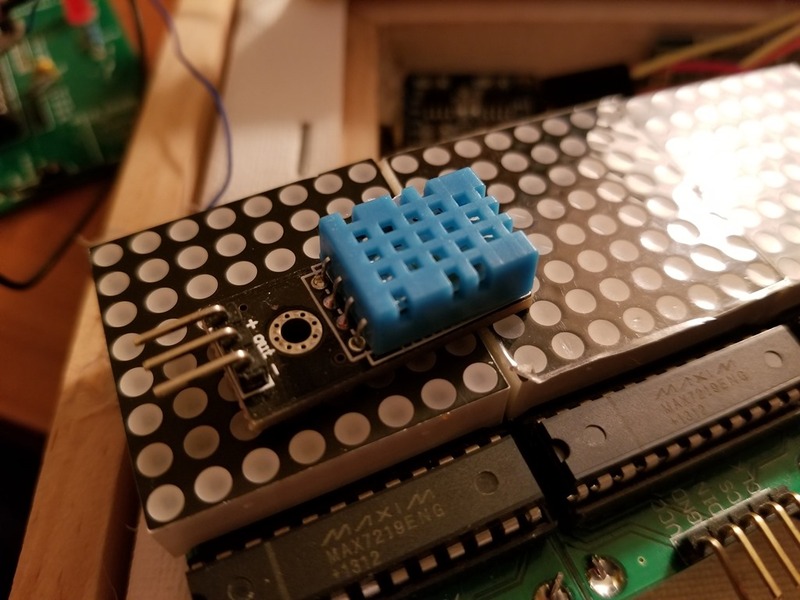 The touch sensor detects when you are touching the plate on the breakout board. As long as you are touching the sensor, it returns a value. You can test the value and determine if there is someone touching the sensor. 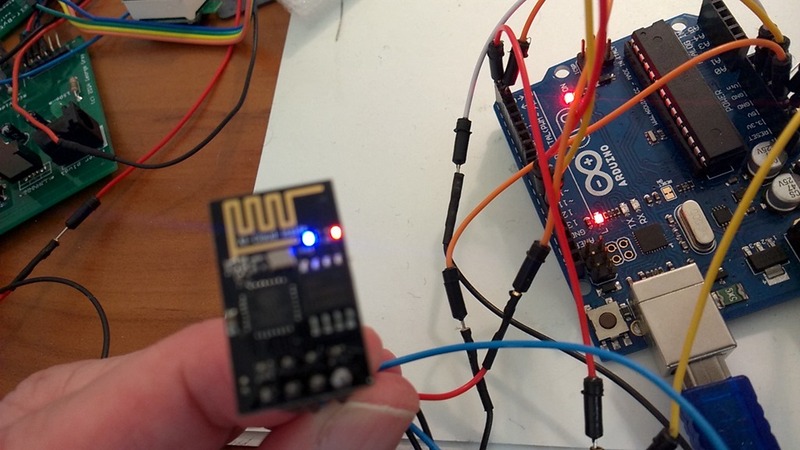 The Tiny Basic, very similar to the light sensor code, will turn the LED on and off each time you press the sensor. On my setup, the values switch between 22 and 1023. Your mileage may vary. 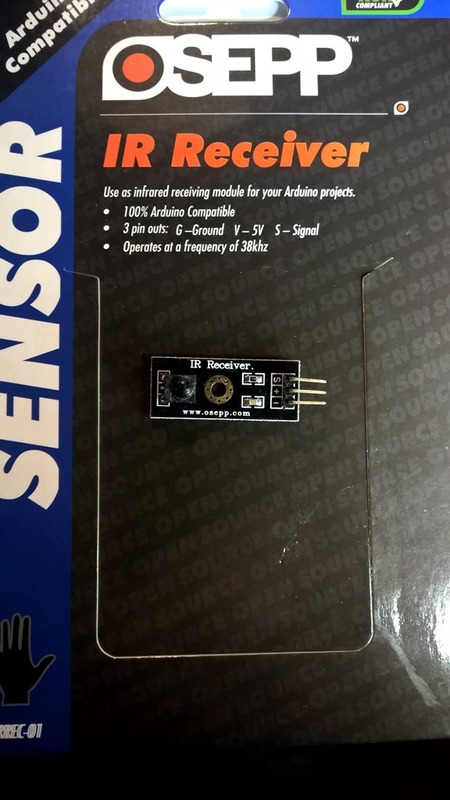 The IR Sensor allows control of a circuit via an Infra Red remote or other IR source. It works very much like the other two sensors here: has a ground, voltage and signal pins. It returns values based on the IR signal received. Admittedly, I have not yet done much with the sensor, so I have limited experience with it. You can use the same Tiny Basic example from the Touch Sensor above. 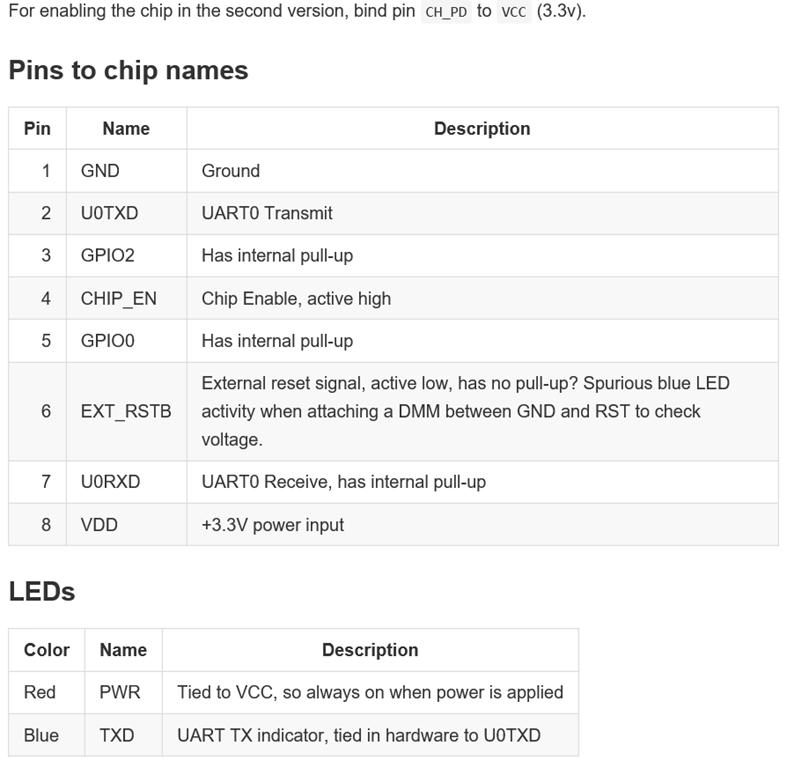 Serial.println(“delay value for LED = “+ IR_Value); //what value are we reading once an IR led is detected? 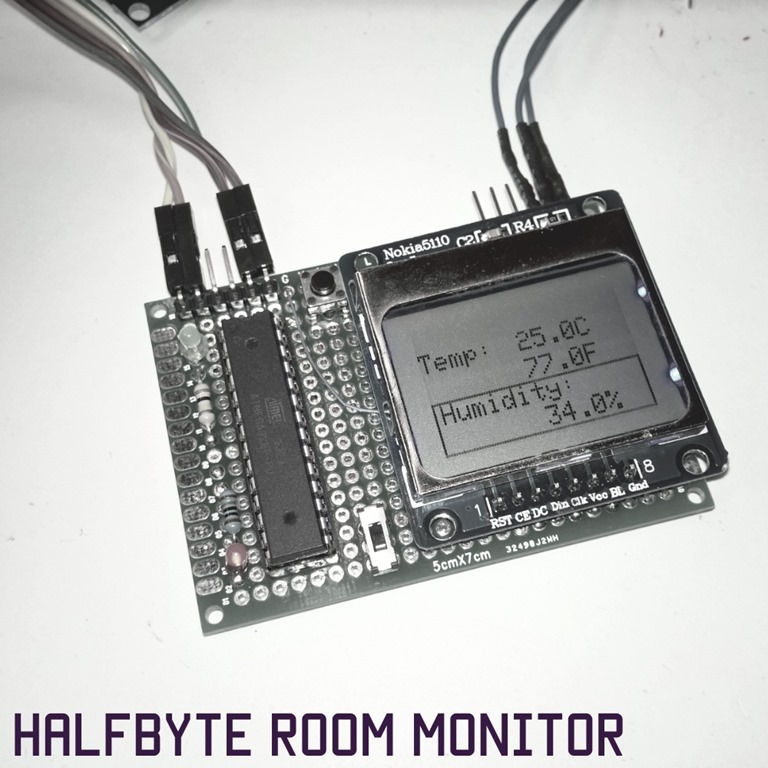 In each of the examples above, the sensors are connected to the HalfByte Console (or your Arduino compatible) via pin A0. 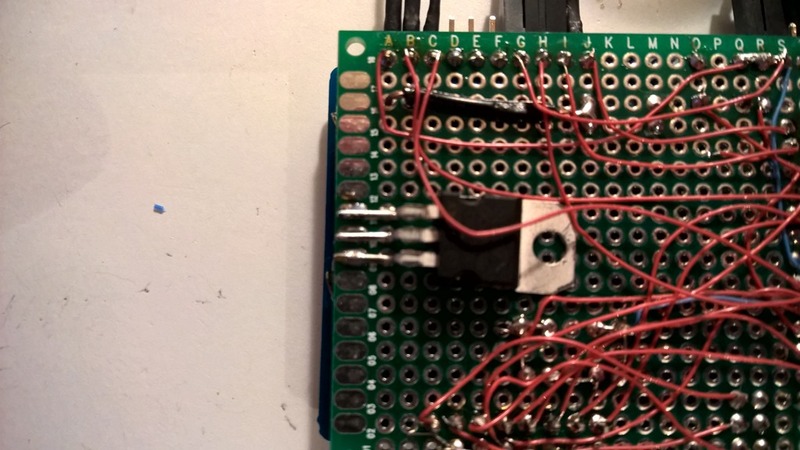 You can use what ever analog pins you want, just change the reference in the code. You can use them together as well.